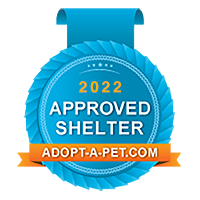 If you are interested in Volunteering, for an Adult (18 or older) volunteer application, visit the shelter in person or you can download an Adult application and waiver/release form. For a Junior volunteer application (must be 15-17), visit the shelter in person or you can download our Jr. Volunteer application/waiver form. In-shelter morning shifts are any 2 hours between 8:00 am – noon and afternoon shifts are any 2 hours between 4:00 – 7:00 pm. We are looking for cat lovers for a weekly commitment. Duties include feeding and care of cats and kittens, cleaning cages, litter box maintenance, assist with laundry, general clean-up of Main Cat Room. Once primary care is done, petting, playing, brushing of the cats and kittens is encouraged. Patient with cats and kittens, able to follow policies and procedures, work as a team. Cat Transport to APL – on Friday morning pick up from the Parma Animal Shelter and drive to the APL and/or in the afternoon bring back to the Parma Animal Shelter after their spay/neuter from the APL. We are looking for dog lovers for a weekly commitment. Dog obedience using the techniques taught by a professional dog trainer. Dog walking, kennel maintenance, and general shelter duties. Once primary care is done, dogs can be brushed and/or can enjoy playing in the dog runs or using the agility course. Must be able to handle large, strong dogs, able to follow specific guidelines on dealing with shelter dogs, handle all kinds of dogs, with infinite patience, kindness and affection. Parma Animal Shelter hosts many events each year to raise operational funds. These include bake sales, bowling events, dinners, garage sales and an annual dog swim. Many hands are needed to make them a success. Planning events, soliciting donations for raffle baskets, manning a booth for the shelter, helping promote events are some of the ways volunteers can help support the shelter. Ability to work as a team setting up events, schedule staffing for events such as March Muttness, Summer Fair, Bake Sales, etc. Greet the public, answer the phone, filing, filling out forms for new animals, lost and found reports, tours. Reconciling lost and found reports, other clerical duties as needed and doing laundry. Ability to use a computer and enter data into animal management software program Petpoint. Pleasant manner, cheerful, good public relations skills, organizational skills, ability to work as a team and follow policies and procedures. Basic computer skills. Work weekly helping to launder animal blankets and cleaning towels, folding and putting laundry away in proper areas. Write articles promoting the adoption of our dogs and cats and fundraising events. Able to work with others to solicit informational topics for newsletter. To post our shelter information regarding events and fundraisers, advertising our home page address and gain public awareness that if you live in or near Parma, Ohio THIS is the place to look if you’ve lost a pet, would like to adopt one, need to find a home for your pet, want to know how to take care of your pet or, if you would like to volunteer, what volunteers DO at Parma Animal Shelter. 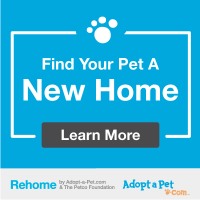 Must have a computer and be internet savvy enough to pass the word about our shelter by posting in message groups and maintaining web pages. Must have the TIME to keep postings and/or pages updated WEEKLY. Volunteers are shelter representatives for off-site education events. Duties include transporting and/or setting up table displays and/or cages to promote adoption of our animals. Handlers must be a regular dog walker or cat specialist. Pleasant manner, ability to work as a team and follow policies and procedures. Must be reliable and dependable. Promote shelter events by contacting media and website calendars of events to post details on a timetable prior to the date of event. For a person who wants to help animals but doesn’t want to WORK WITH animals. The volunteer would deliver flyers advertising our events and ask business owners to post them in their windows. Our flyers can go to the schools in the Parma area, pet stores, vet offices, businesses in Parma, libraries, etc. Must be able to transport flyers. Ability to design professional flyers. Another position for a person who wants to help animals but doesn’t want to WORK WITH animals. The coordinator works with organizations, who wish to volunteer at the shelter for a one time occurrence. The coordinator would direct and oversee organization’s volunteers to work on projects which could include stuffing envelopes, washing walls, painting, weed whacking, raking leaves, etc. Schedule is determined by coordinator. Move bags of aluminum cans from the public drop-off recycling area against wire fence to inside wooden fenced area securing bags by double knotting as needed. Money is used to help our homeless animals.